Dogs Archives | Solved That! 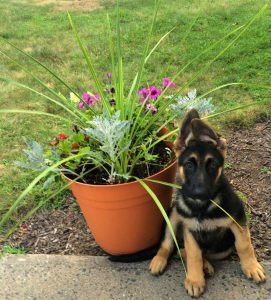 Dog Walking Shoes – So we recently added a new member to our household, that new member is a German Shepherd puppy we named “Sully” after Paul Newman’s character in the wonderful movie “Nobody’s Fool”. Sully is the first puppy for me since my teens o there’s going to be a lot of puppy dog entries on the site. Having to take Sully out constantly while potty training lead me to my first annoyance/issue. I hate wet feet. Going outside in the evenings, mornings and rain into the lawn had me constantly dealing with wet shoes, wet socks or wet slippers. That had me thinking I’m not the only person annoyed by this so I set out to find a waterproof shoe I could slip on like slippers. My research lead me to the MuckBoots Unisex Edgewater Camp Shoe as dog walking shoes. 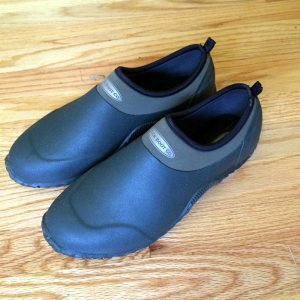 The MuckBoots Unisex Edgewater Camp Shoe is typical Muckboots construction and quality.They are easy to slip on,totally waterproof and poop proof. 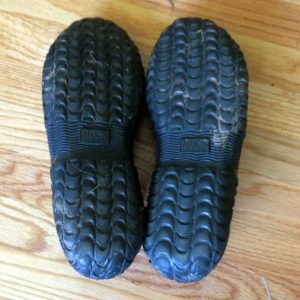 The best dog walking shoe for me. The Original Muck Boot Company™ provides comfortable boots for messy and tough conditions. The Edgewater Camp Shoes have all the standard MUCK BOOT™ features and more to make these the only outdoor shoes you will ever need! A stretch-fit topline binding snugs to the ankles to keep unwanted dirt and pebbles out. The natural rubber upper reinforcement provides added durability while a Trac Trol sole design enhances traction and stability. The full-perimeter wrapped outsole provides maximum protection to toe, arch and heel area.